Today on the Crystal Avenue, I bring to you final outfit post for 2016. “Stardust” is one of the few shoots that were lost in my archives and never had the time to post up until now. I apologize greatly, and especially to Andrew who shot this look for me. Due to the recent release of “Rogue One: A Star Wars Story,” “Stardust” is fitting to end the year on the Crystal Avenue. 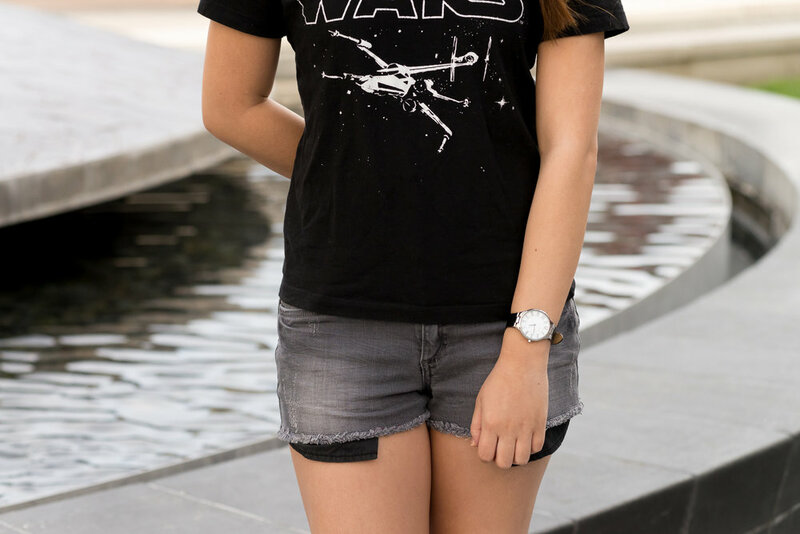 In “Stardust,” I am wearing a Star Wars graphic tee with a pair of grey shorts, and sneaker booties. For the styling portion of “Stardust,” I wanted to color block with black and grey, to make the graphic tee the focal point of the outfit. 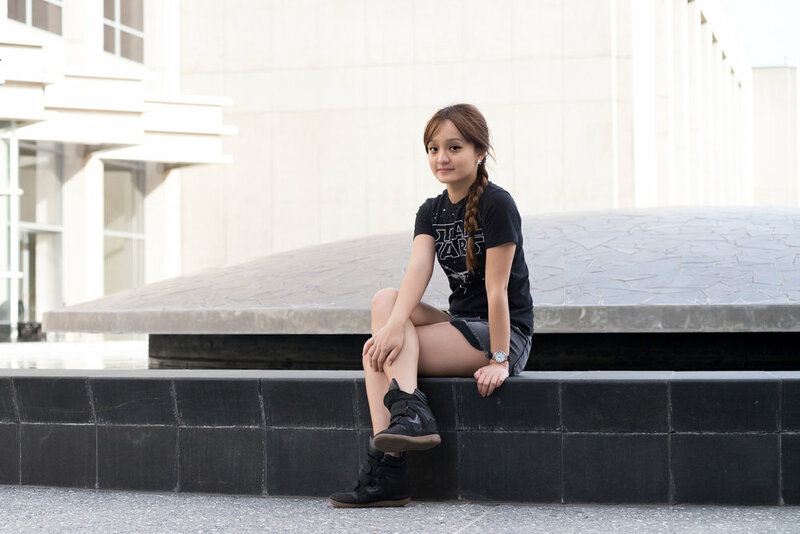 Also as I am not blessed in the height department and wanted to keep the look laidback and casual, I choose my sneaker booties for extra height and to add a cool girl aura. I tied and completed the look with adding a pair of star earrings, to represent the far, far away galaxy. On a side note, I also know the current weather conditions in the bay area does not permit for this outfit at all, but when the weather is warmer, the inspiration will be readily available for you. With the year quickly coming to an end, I wanted to keep my farewell message to 2016, short and sweet. When a new year begins, I don’t think anyone is ever prepared for what the year will hold. Not to divulge too far in cliches, my year would be best described as “c'est la vie.” Looking back, I regretted nothing. Even in my happiest and toughest moments, I always gave my all and would have not take back the words I said or wanted to alter things. In that moment of time, I reacted with no expectations on what the outcome would be. I took risks, put my heart and emotions on the line, voiced my thoughts, and took chances on people and moments that the younger me would be way too guarded and cautious to do. Life is too short to be afraid. And if I was ever not enough for the moment or an individual, it is what it is. All in all, I’m ready as I’ll ever be for you 2017. I’ll see you all in January with a revamp of my site as well as new content on the Crystal Avenue. Have a wonderful New Years, everyone. Cheers!